Michael Keough, vice president of logistics for Arkema Inc.'s North American subsidiary, was indicted on felony assault charges tied to his actions ahead of a chemical fire and explosion at the company's Crosby facility, the Harris County District Attorney's office announced Wednesday. The company was also charged. Keough falsely told officials that Arkema was monitoring potentially explosive chemical tanks in real time when the company had insufficient data to give early warning, according to District Attorney Kim Ogg. These "misrepresentations" led two sheriff's deputies to drive directly into a toxic cloud, which then spread to exposing others, she said. "There has, quite literally, never been a prosecution like this one for one singular reason — what Mike did wasn't a crime" Cogdell said in a statement. The charges against Keough were announced weeks after fires at two other Houston-area chemical plants, and on the day President Donald Trump visited Crosby to sign executive orders designed to speed up oil and gas pipeline projects. "Too often corporations are simply allowed to pay fines and that doesn't change corporate behavior," she said. Keough is the third Arkema employee to be indicted since the hurricane knocked out power at the company's Crosby facility. 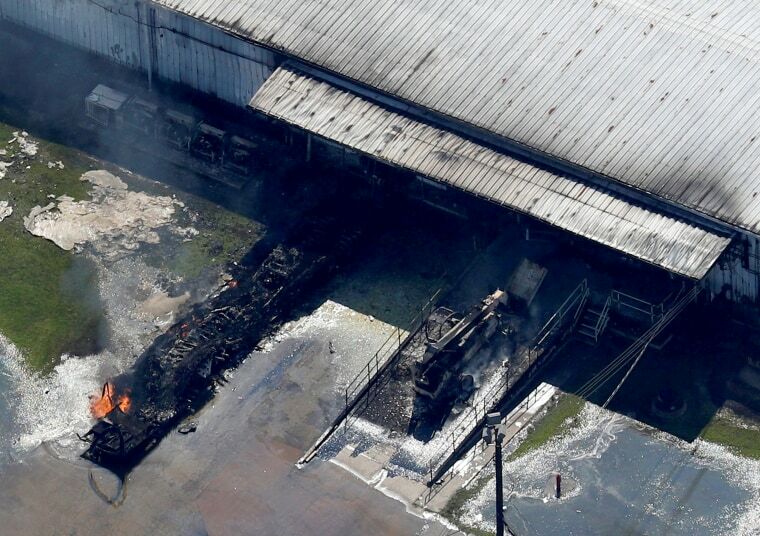 Without electricity, some of the chemicals at the plant caught fire and partially exploded, sending plumes of smoke skyward. Richard Rowe, the France-based company's chief executive, and plant manager Leslie Comardelle were charged with releasing toxic chemicals last year. They are set to be tried in May.